FMB’s new website is designed to maximize convenience and help us better meet the ever-changing needs of our customers. The enhanced functionality communicates our desire to provide up-to-date technology and innovative banking options, including online and mobile banking. 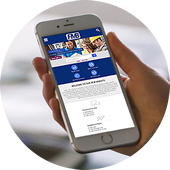 This website was built with our customers in mind, and conforms to whatever device you’re using for on-the-go access. Keep up-to-date with our latest news and alerts.